Lets get to work, its not a big chore. Our classroom doesn’t need to be so bright. Turn All Your Things Off-there’s a good tip!! 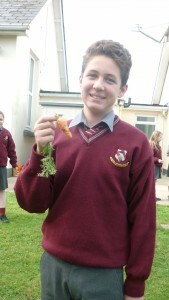 On the 18th of January our school held our green School ‘Day of Action’. 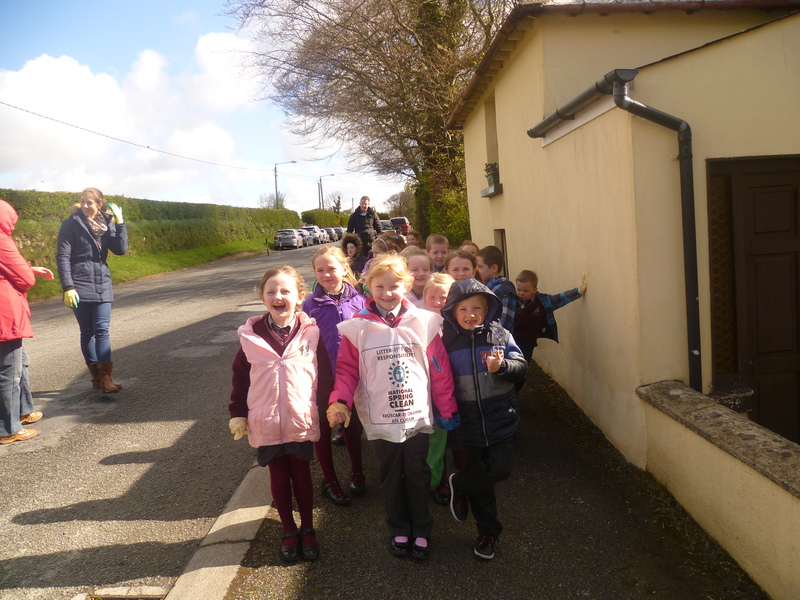 As part of our work on the theme ‘Energy’ we had a day of action and we decided to have a ‘Low Energy Day’! 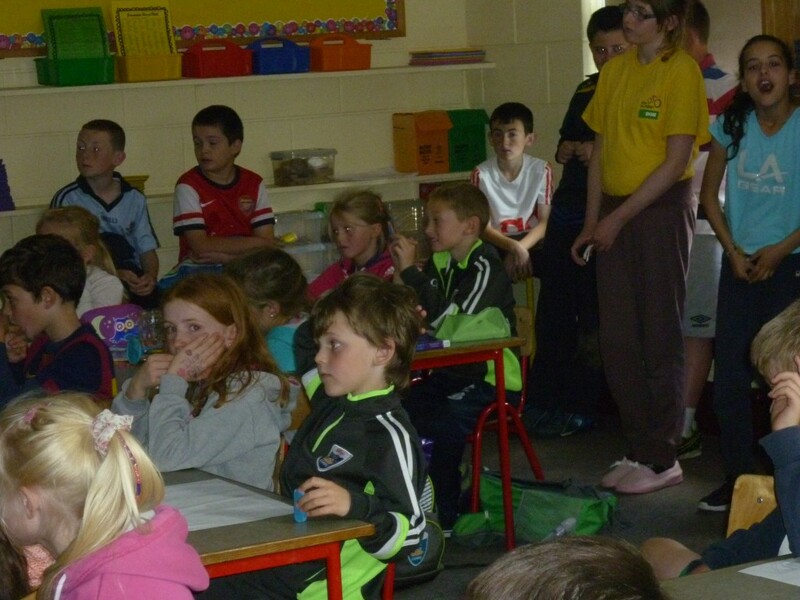 So that meant no lights, no interactive whiteboards, no laptops and no energy! We hoped that it would show us how much we depend on energy and electricity and that we should try our best to save energy. 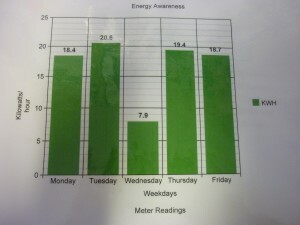 Throughout the day, our Green Schools committee acted as monitors checking energy conservation in our classrooms. Everybody made a big effort to have switches and appliances turned off when we weren’t using them. We also kept our windows closed to retain heat and our sensor lights dimmed throughout the day. The teachers also made a huge effort not to use the microwave, the photocopier or printers. 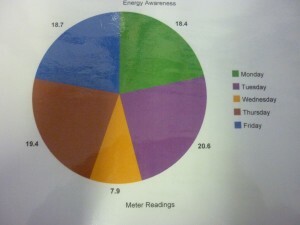 We were busy taking energy readings at the start and the end of the day. We were successful with our low energy day using nearly three time less energy than any other day that week.It was a great success well done to all involved!! Teachers bring lunches that don’t require microwaving or toasting. 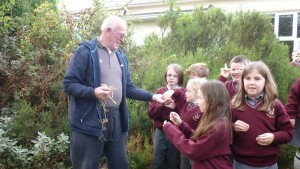 Children from 1st -6th class enjoyed harvesting the lovely vegetables sown last Spring. 4th & 5th class pupils were very eager to see the produce from their mini garden which they cared for so well since the Spring. 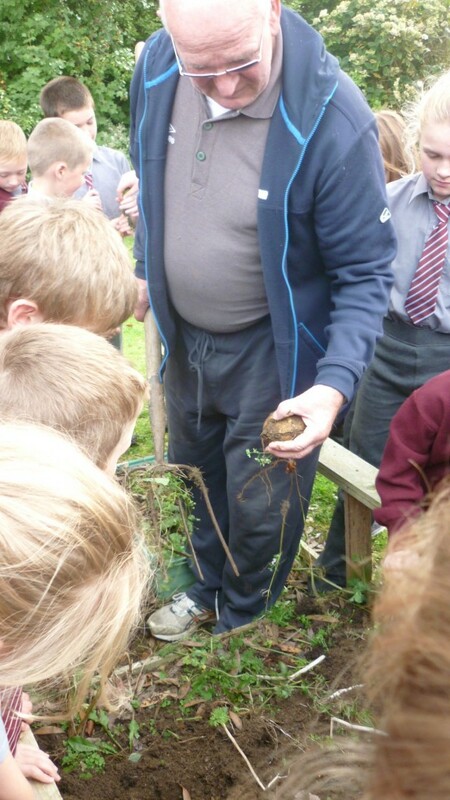 Thank you to Jim Hanrahan who helped set up and maintain our garden. Jim passed on lots of gardening knowledge to our garden carers. Well done to all involved. Enjoy our photos below. 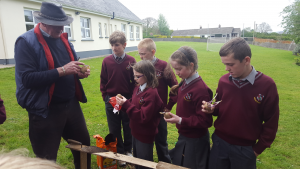 The 5th & 6th Class members of the Green School Committee were out and about spreading their knowledge on Energy. 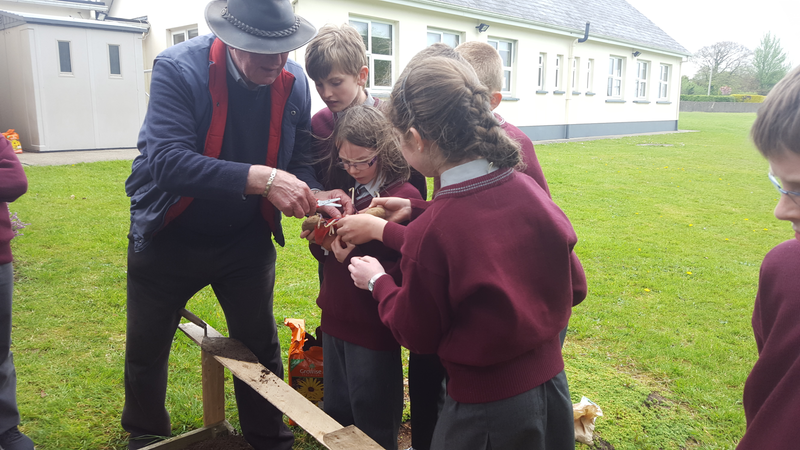 The Energy Experts had spent a few days learning all about energy, what we need energy for, where this energy comes from and what the future holds. 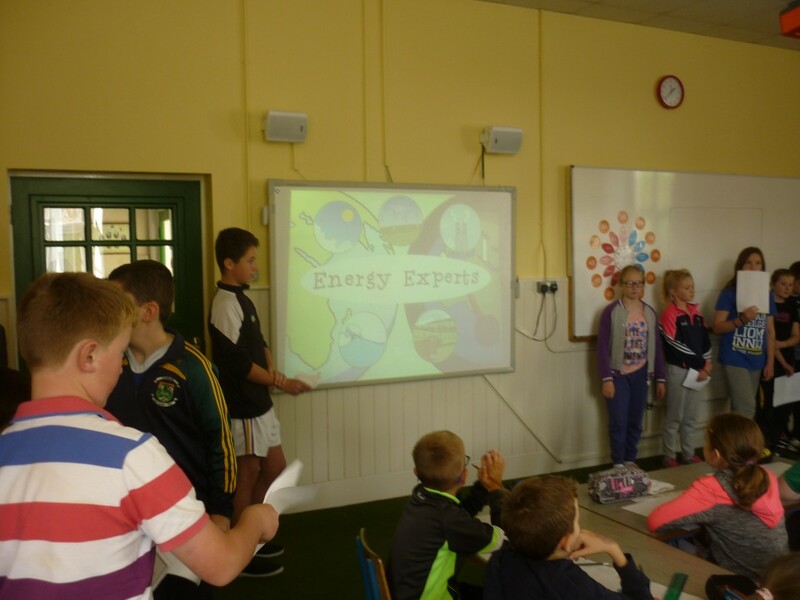 Having gained all their knowledge the 5th and 6th class pupils created a survey for children from 1st class to 4th class to see how much they knew about energy. 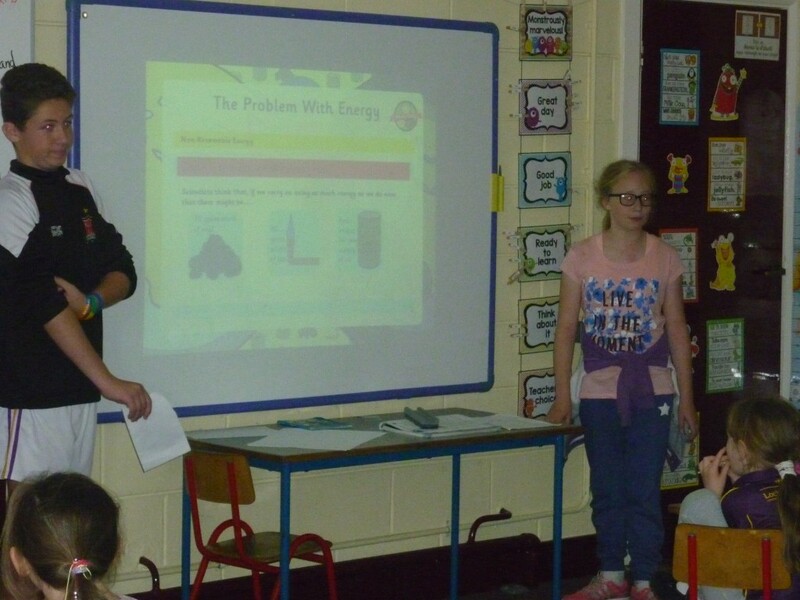 They then created a power-point about energy that they would present to the other classes in the school to make them more energy aware. 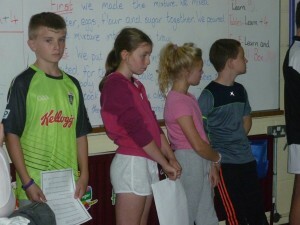 The classes were informed about non-renewable energy sources of coal, oil and gas. The burning of these fossil fuels can have negative effects on our environment causing climate change. These non-renewable energy sources are also running out. We can help our environment by using less energy and also using alternative sources of renewable energy. The presentation provided the children with information on renewable energy sources. After the presentations the pupils then took the energy survey for a second time and it was very evident that they had gained lots of new knowledge and were now more energy aware. 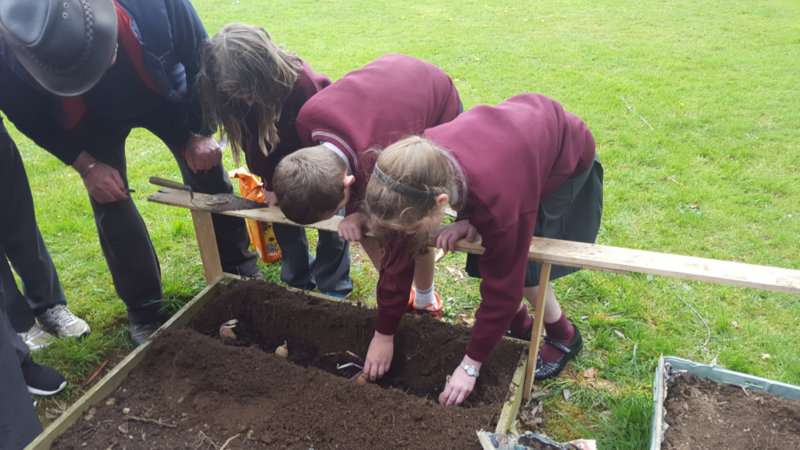 The Green School Committee came up with lots of ways in which we can save energy and use less energy within our school environment. They have begun “The Switch It Off” campaign. They have created LOLO (Last Out Lights OFF) signs and TAYTO (Turn All Your Things Off) signs to remind us all to use less energy. 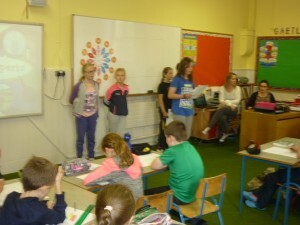 Well done to 5th & 6th classes and The Green School Committee for all their hard work to date. Below: Our Green Schools Committee ready to distribute our battery recycling boxes. 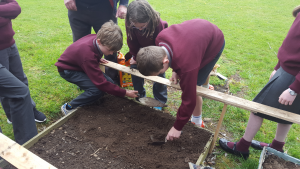 Our Green Schools Committee are continuing their great work this year. 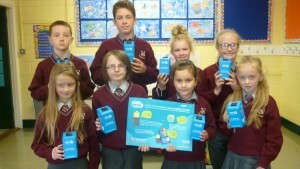 They recently joined the WEEEPledge schools recycling challenge. 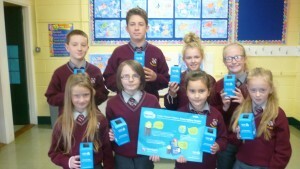 We are collecting batteries to make a difference. Its free to recycle and recycling waste batteries helps our environment. 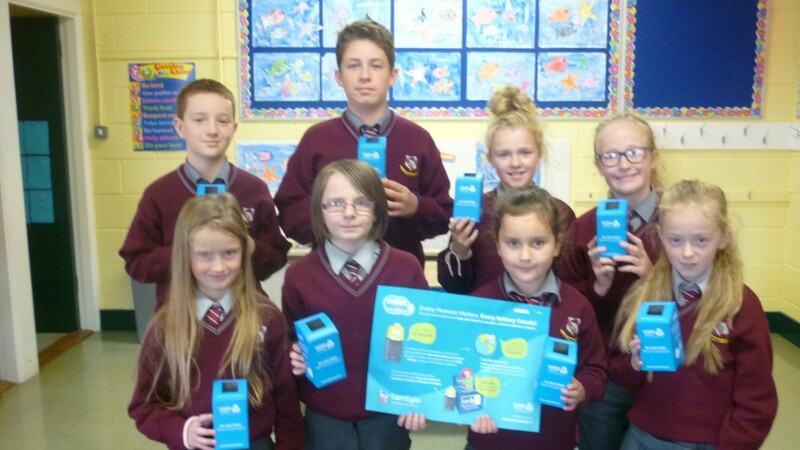 Last week we were busy distributing battery recycling boxes to every family in the school. 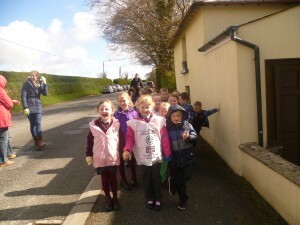 This initiative also raises funds for the LauraLynn Foundation, Ireland’s Children’s Hospice. 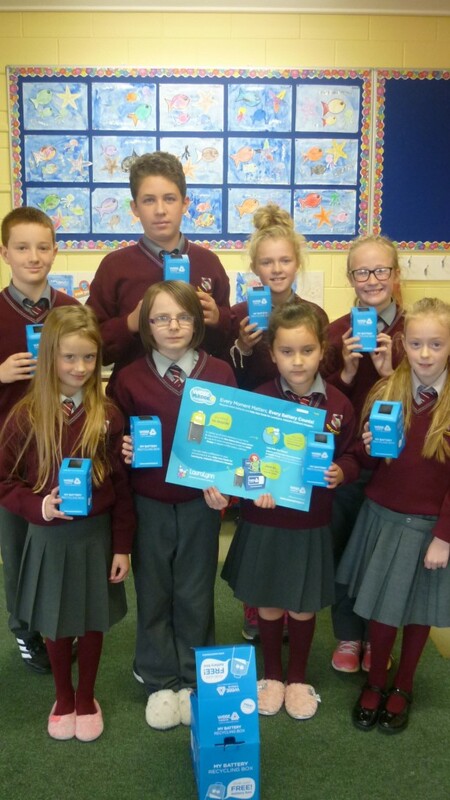 So get collecting everybody….every battery counts, every battery makes a difference!! Thank you for your continued support of our clothes collection. Our next collection will be on Monday 21stNovember. The shelter will be open during school hours for the week prior to this date. 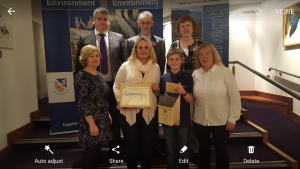 Kiltealy gets Green School award !! 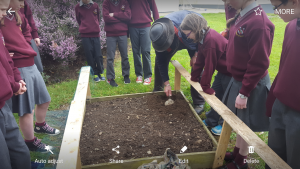 Welcome ” Incredible Edibles” to Kiltealy N.S. Third and Fourth Class are taking part in the Incredible Edibles Programme. 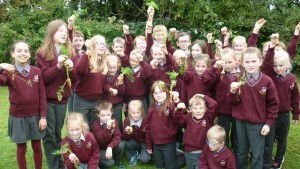 Incredible Edibles is a healthy eating initiative for Primary School pupils. 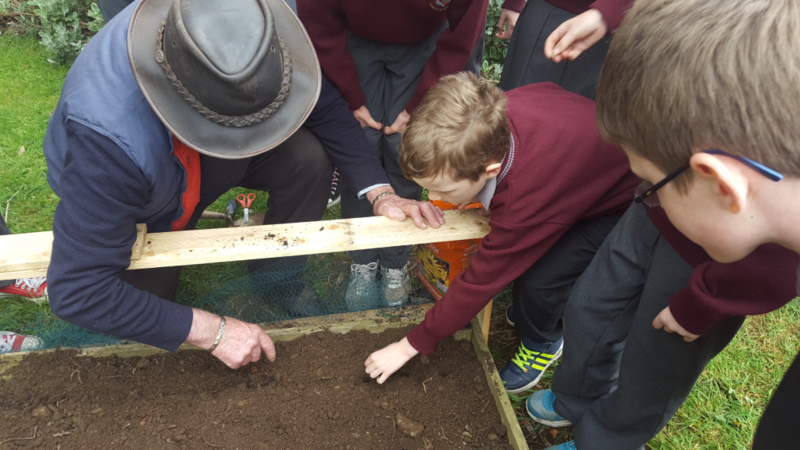 It encourages schools across the country to get busy growing carrots, lettuce, potatoes, strawberries and turnips. Schools are supplied with grow packs containing everything they needed to grow a veritable feast of healthy foods! Cogratulations to 1 st and Second Class,who won the tidiest and most energy efficient classroom for October. Our hard work has paid off!!! 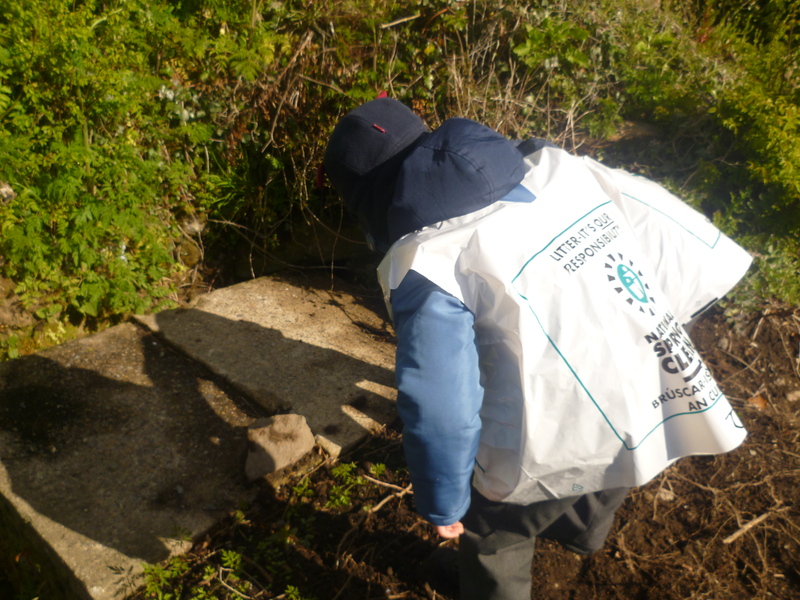 You might have spotted children in the area last Wednesday with some gloves and bin bags! Kiltealy N.S completed our Spring Clean around the locality. Wexford county council collected our rubbish last Friday. The children did a great job, but we really had to search for rubbish as Kiltealy was so clean. We received some great news during the week…..we have qualified for our first green flag! The Green School committee and all the children in the school are so excited. 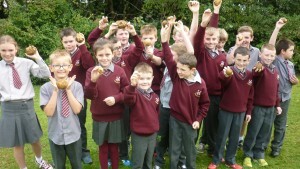 They have all worked so hard to keep our school clean with as little waste as possible and really deserve this reward. 2 teachers and 2 pupils will represent the school on Thursday 21st May in Kilkenny during the award ceremony and will be extremely proud to bring home our first green school flag. 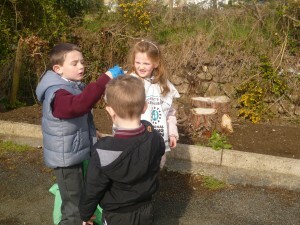 Here are some photos of Junior and Senior Infants participating in our Spring Clean……. We would like to remind you that you can recycle your old newspapers in the recycling bins provided in the school yard. For each full bin we receive 50c , which adds up over the year. A little goes a long way! 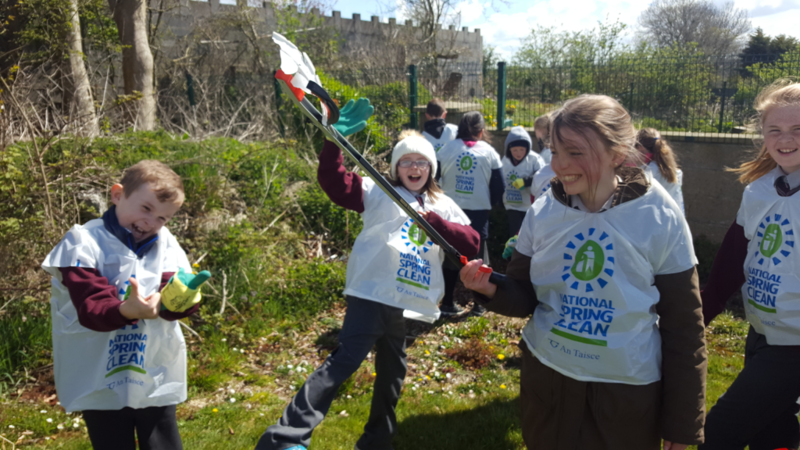 The pupils of Kiltealy National School will take part in a Spring Clean Action Day next Wednesday 29th of April as part of the Green Schools imitative. 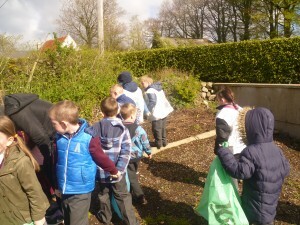 Each class will be designated a different area in the locality to collect rubbish in. We have received resources from An Taisce such as gloves, rubbish bags and bibs for the children to wear. Each class will be closely supervised , however we do ask that you are extra vigilant if driving through during school hours. 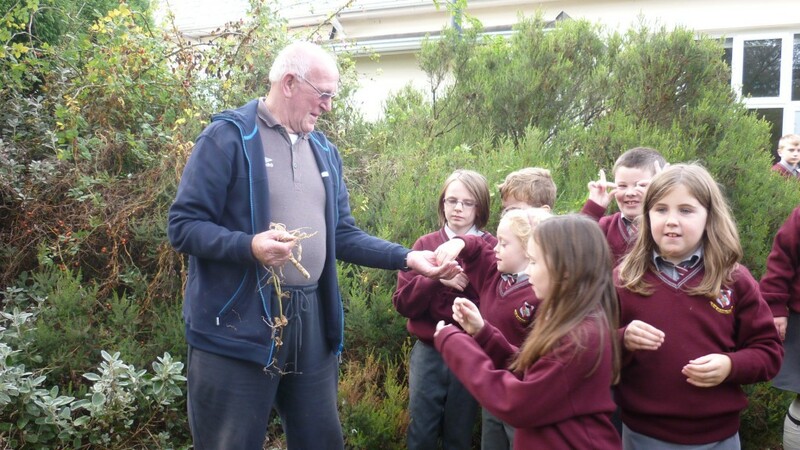 Kiltealy N.S had a Green School inspection on Friday 6th February. 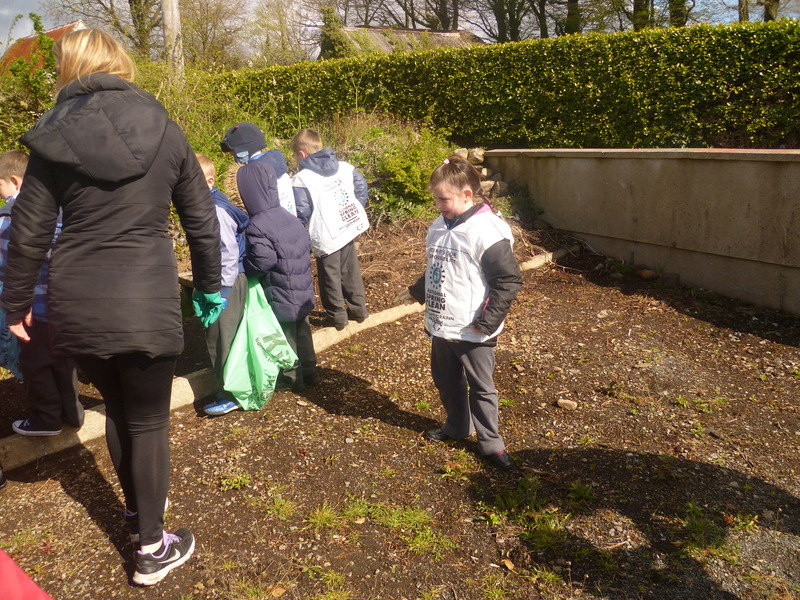 The inspector was extremely impressed with the cleanliness of the school and the level of recycling and awareness within the school. 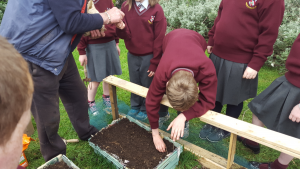 Following this, we received a letter from the body who awards the Green School Flags “ An Taisce” to advise we have been successfully granted “ Green School” status and will receive our first (of many) flags in May. The Green School committee which to express their gratitude to everyone for their co-operation in ensuring our school is clean. Keep up the great work! 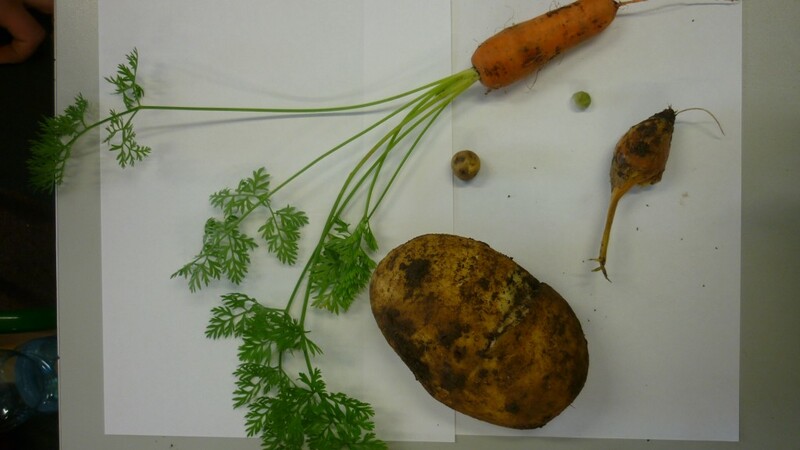 We have successfully achieved our aim of reducing waste by 50% . It would not have been possible to achieve this target without the co-operation of all our teachers, pupils and families. Everyone is making a great effort to ensure they bring home their own waste materials, use recyclable materials in art etc, and we appreciate it. 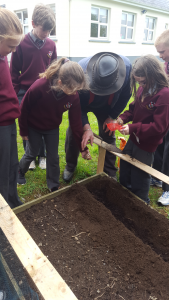 We are expecting a visitor from An Taisce in the near future who will decide if Kiltealy N.S are worthy of a Green Flag, and we are feeling very positive we will be granted same. 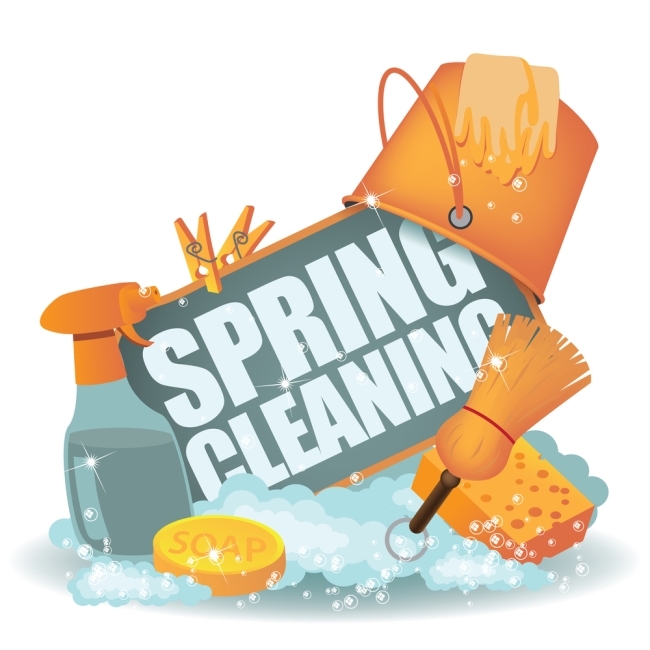 In Spring we are organising a Spring Clean in the locality and will update you regarding same. 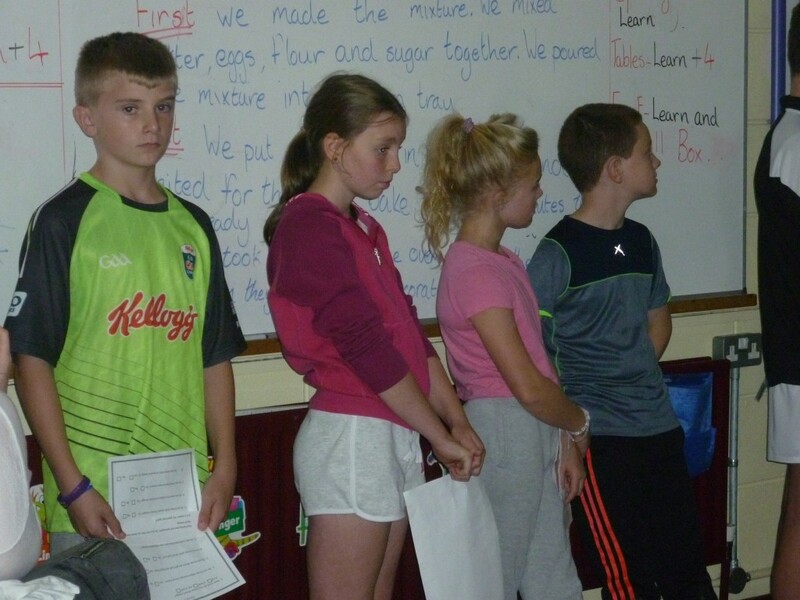 You may wish to join the children of Kiltealy N.S in learning our Green Code rap, here it is……. What can you do , how can you help? Many thanks to everyone for your co-operation and we wish you all a very festive and enjoyable Christmas. The Green School committee and all the staff and children of Kiltealy N.S are working hard to achieve our first green school flag. 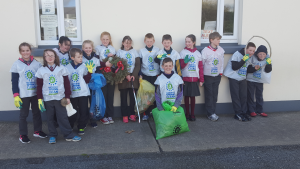 Our goal is to reduce the overall waste in the school by 50% in December 2014. 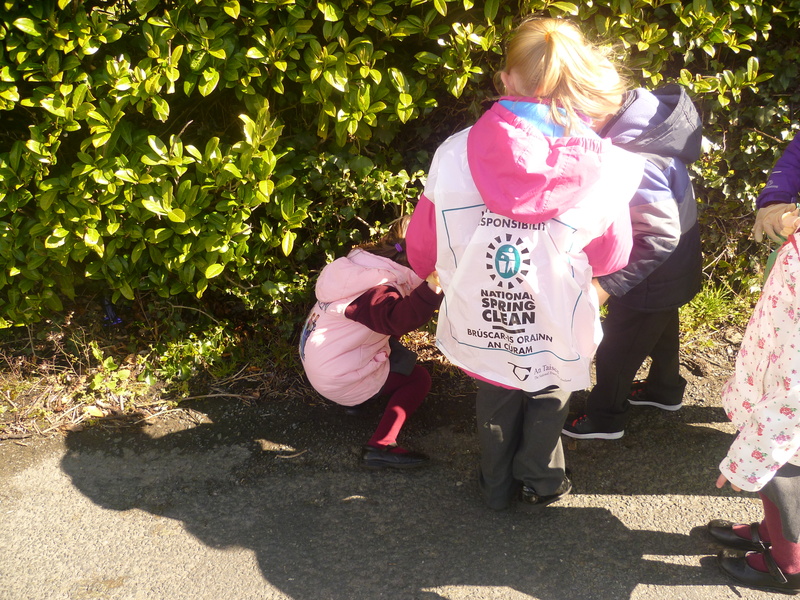 Litter Wardens – check the yard at lunch time to ensure there no litter discarded and also check the classrooms. Spot checks on the bins to ensure the correct contents are placed in each bin. We have asked all children to use a lunch box for their lunch and avoid unnecessary food wrappings. Children are also asked to bring home any rubbish they may such as milk cartons, food wrappings / orange peels etc , our general rule is if you own it , bring it home. Each room has a bling box which contains recyclable materials that can be used in art. 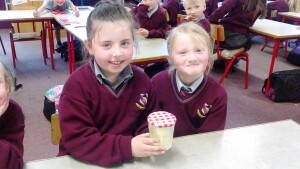 Mrs Kavanagh’s 5th & 6th class have also made houses out of recyclable materials. The 5th and 6th class children completed projects with infants in June and made “Under the Sea” diorama using recyclable materials also. The winning class gets one night off written homework. We would like to remind also that you can recycle your newspapers and batteries in the school. 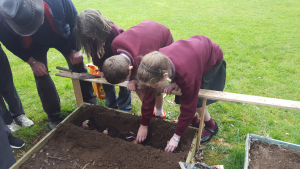 The Green School Committee would like to thank you all for your continued support and co-operation. 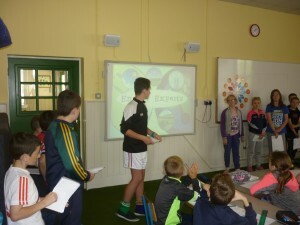 The committee recently had a vote on our Green School Slogan. 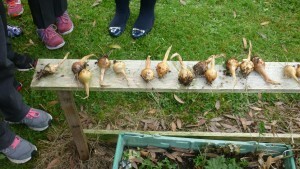 They picked 6 and every class voted on their favourite. 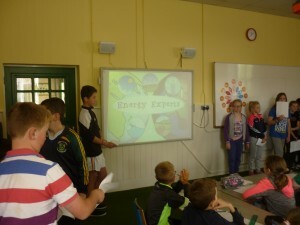 The winning slogan was…………………………..
“Kiltealy is Keen on going Green”. 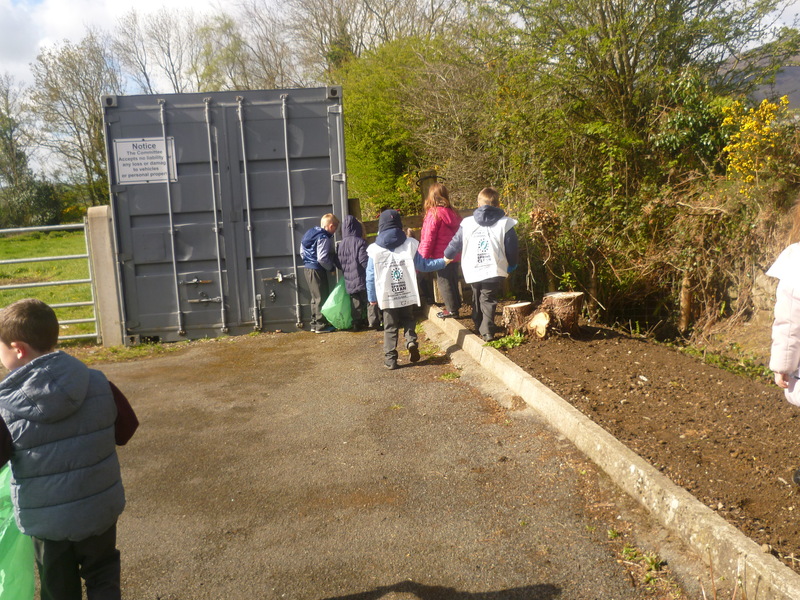 Our next step now is to come up with our action plan which will detail what we intend on doing in order to reduce waste and litter in school. We will update the website with all our latest information on a regular basis. 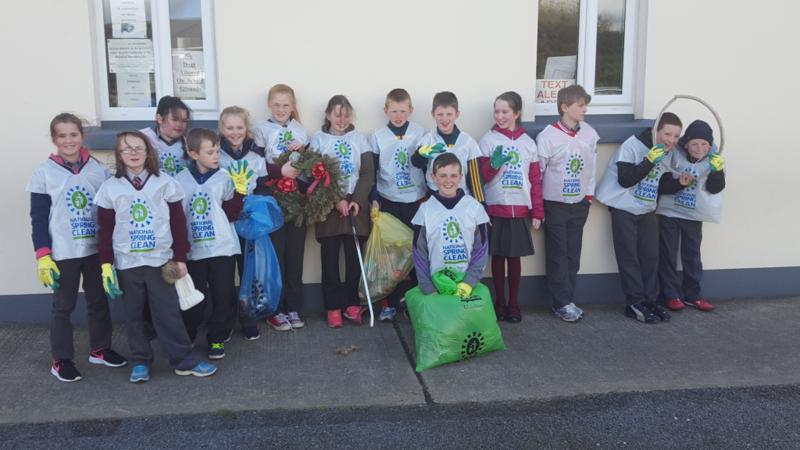 Kiltealy N.S has recently applied for the first Green School Flag – “Litter and Waste”. 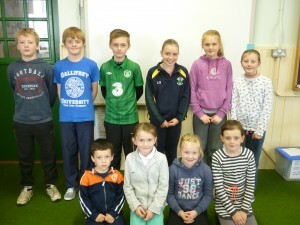 We have elected a Green Schools Committee with children from 1st to 6th class. 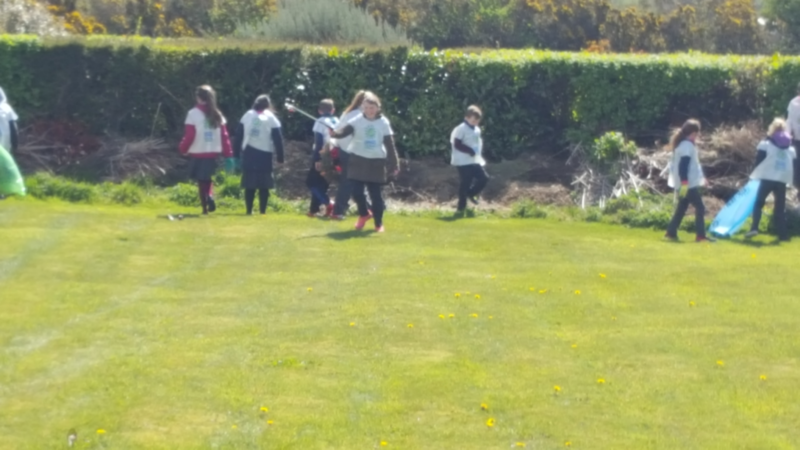 On the this committee we have Fionn O Múirí and Sarah Nolan from 6th class, Sam Holmes and Katie Breen from 5th class, Aoife Pender from 4th class, Caoimhe O’Brien from 3rd class, Katie Bowe from 2nd class and Charlie Smith from 1st class. 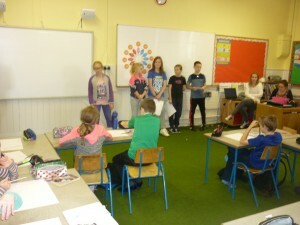 The committee are currently working on our Green Schools Slogan. 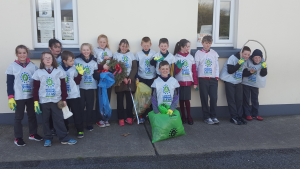 There is a 7 step programme to follow to help ensure we receive our Green Schools Flag. The 1st step has been completed which involved electing the committee. 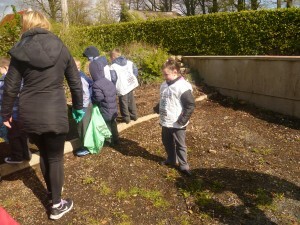 The committee’s next step now is to conduct an environmental review to assess the litter and waste problems in the school. 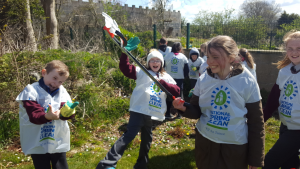 They will then develop an action plan to deal with these problems and reduce the litter and waste in order to have a cleaner greener school. However, it is not just the committee’s job to tackle the litter problems in our school, we need the co-operation of all the pupils, teachers and parents. 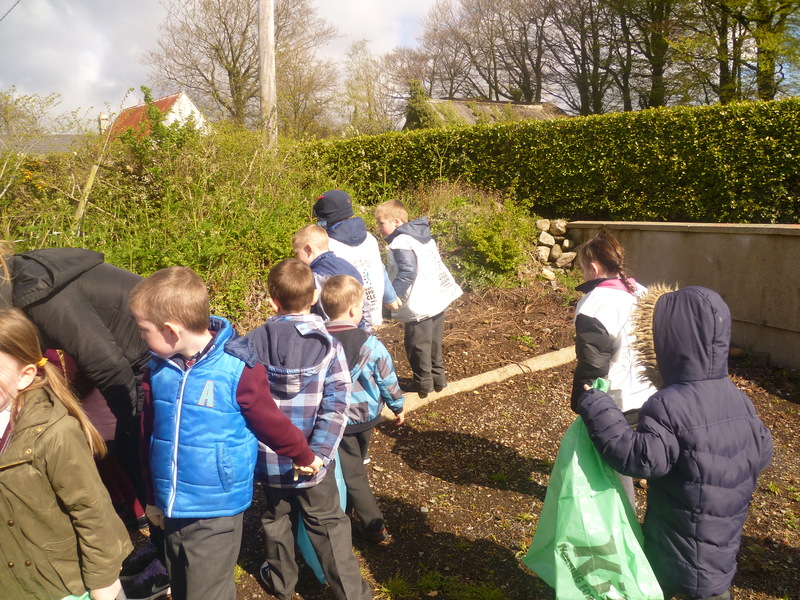 One of the suggestions to help reduce waste & litter is for all pupils to take home any food waste or litter from their lunches. Also we recommend that all pupils have a lunch box to avoid using tin foil or cling film to wrap sandwiches in. 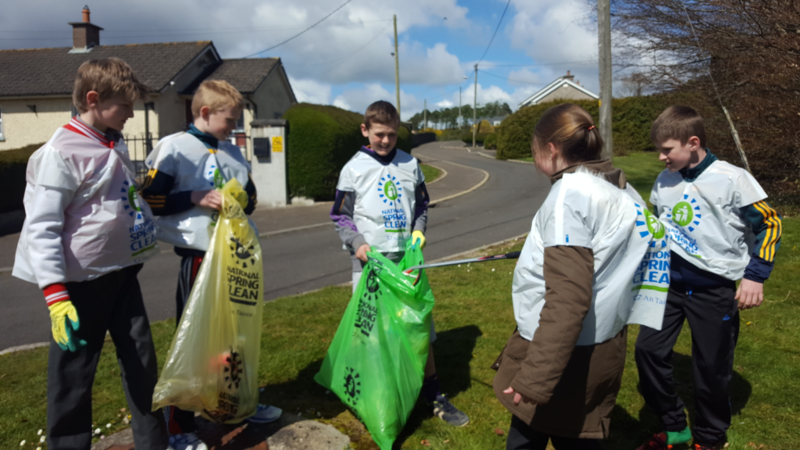 Please feel free to make suggestions on reducing litter and waste to the committee. 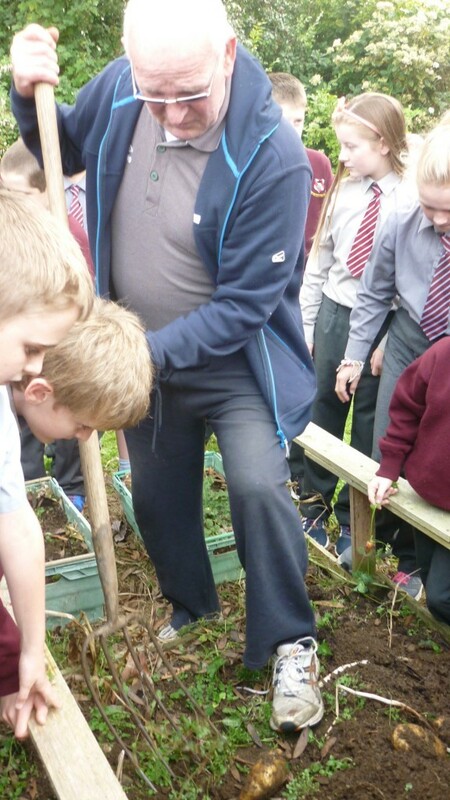 We appreciate your co-operation and assistance in helping us achieve our first Green Schools Flag. 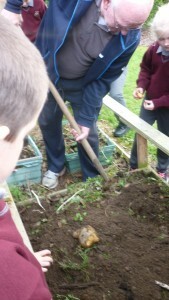 Work has now commenced on getting our second Green School Flag. 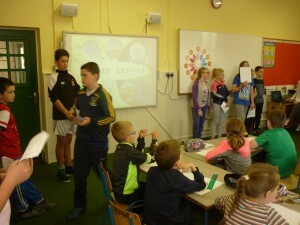 Elections for the Green School Committee were held in each classroom. All of the pupils gave a presentation to their class.The first meeting took place on Friday 9th October. 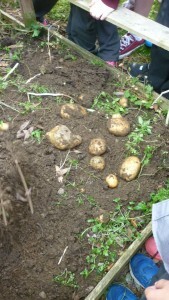 The Green School Committee are photographed below. 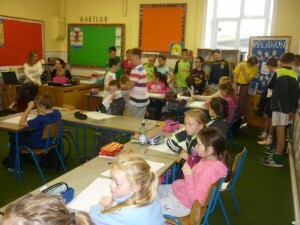 We have a competition each month in the school for the tidiest classroom. The winner of the tidiest class for October will be announced in early November.